Insert coffee to start. Pour hot liquid into the Pac-Man Heat Change Mug and watch as the empty level gets filled with power-pellets, fruit, ghosts, and even Pac-Man himself! 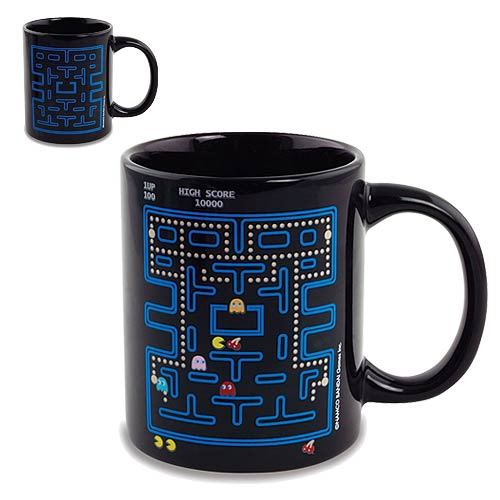 This mug is perfect for any Pac-Man fan!